GTViewer Data Server version 4.0.0.2 is available. This update only contains fixes for using an encrypted users.ini file. - FIX - #7921 - The encryption for the users.ini file was not accounting for spaces at the beginning of the encrypted strings. - FIX - #7923 - The encryption for the users.ini file was ignoring entries that began with a comment token (#) in the encrypted strings. 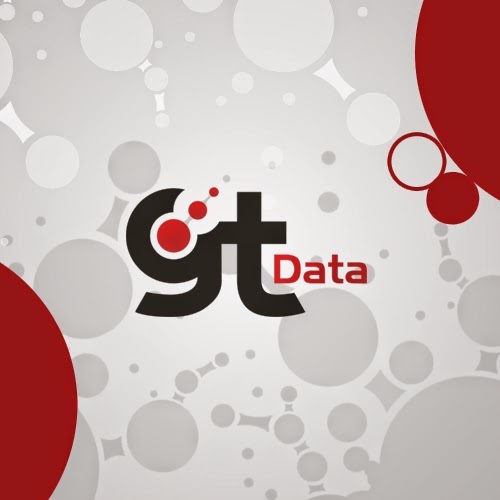 This version of the GTViewer Data Server is the last 3.0 version. The next release will be version 4.0 and will include a Web Service Interface and a modular user-authentication assembly. - NEW - #7882 - Additional Logging added to Post Image functionality. - NEW - #7905 - Projects are now validated on the file level (as defined in Project Manifest). - FIX - #7906 - Fixes for scenarios when requests were made to invalid or non-existent project request. - NEW - #7907 - Additional Logging for Invalid Project request or non-existent project requests. - FIX - #7864 - Updates to correct problems with UTF8 characters from being lost in redline posts. - FIX - #7865 - Fixes to logging to show more detailed information when posting data to GTShare for Logging Level 7. - NEW - #7843 - Project Info File is now supported to provide additional information to apps using the server. - FIX - #7823 - GTWebGetProjects would not return a valid response if no projects were created. - NEW - #7825 - GTShare Redlines can now be managed as a Web App or in SQL Server. - NEW - #7832 - Support for Encrypted records. - NEW - #7838 - Support for SQL Server Tracking added (to match GTWeb). - NEW - #7839 - All GTShare functionality now delivered with the GTViewer Data Server. - FIX - #7903 - Fixes to Dimension Labels showing "-0" instead of the correct label. - FIX - #7900 - Changed all files created by the export and read by GTViewer to use ISO-8859-1 character encoding. - FIX - #7896 - Tabular Records were not supporting foreign language characters(umlauts, accents, etc.). These were filtered out after #7792 when all non-printable characters were removed. 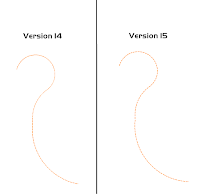 These versions change frequently, but the currently supported versions of iOS and Android for GTViewer are shown below. The current version of GTViewer for iOS is 3.0.70. Supported versions of iOS are 9.0 to Current (which is 11.0.3 as of this post). Support for iOS 8.0 has been dropped. The current version of GTViewer for Android is 3.0.23. Supported versions of Android are 4.4 (KitKat) to Current (which is 8.0.0 Oreo as of this post). Support for Android 4.2 (Jelly Bean) is available but Web Apps and Data Collection are not supported (because required functionality to support them is not provided until Android 4.4). GTViewer for Windows Beta #2 is available for testing. Most of the updates in Beta #2 are fixes and refinements to the new Display Manager (formerly called the Display Control Dialog). New functionality includes the ability to disable (remove) one or more of the tabs it provides or disable the Display Manager altogether. You can also disable the old Display Filter Dialog if you no longer wish for it to be used (these settings are all made in the .GTM file). 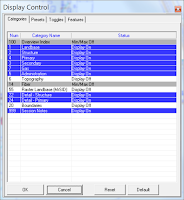 Fixes to the Display Manager include remembering the dialog's location, sort column, sort direction, selected category filter. This update contains new functionality including the Custom Detail URLs. This feature allows you to add URL style values to your attribute data that will act like a hyperlink to files or locations in the data (geographic or detail view, preset, raster, range or center/scale). These can be used without any configuration of feature links. A new InstallShield Setup is now being used and updates to the Sample Dataset are now provided (sample data in Beta #1 did not work correctly). Sample Data was also moved from the Product directory to the AppData directory. The first round of Documentation updates (in GTViewer.doc) have been provided, but most documentation and Help File updates will be in Beta #3. If you wish to begin testing with Beta #2, please contact support. - FIX - #7869 - Opening a .GTX file with a Passcode using the Open Last option could cause problems. - FIX - #7870 - GTField Edit dialog now clears memory when exiting. - NEW - #7876 - Support for inline Detail File definitions with Custom Detail URL in Attribute Info dialog. - NEW - #7877 - Added support for active URLs in Attribute Info with AllowUrlInAttrInfo entry in Additional Properties. - NEW - #7878 - Now closes all Attr Info dialog when their corresponding View closes. 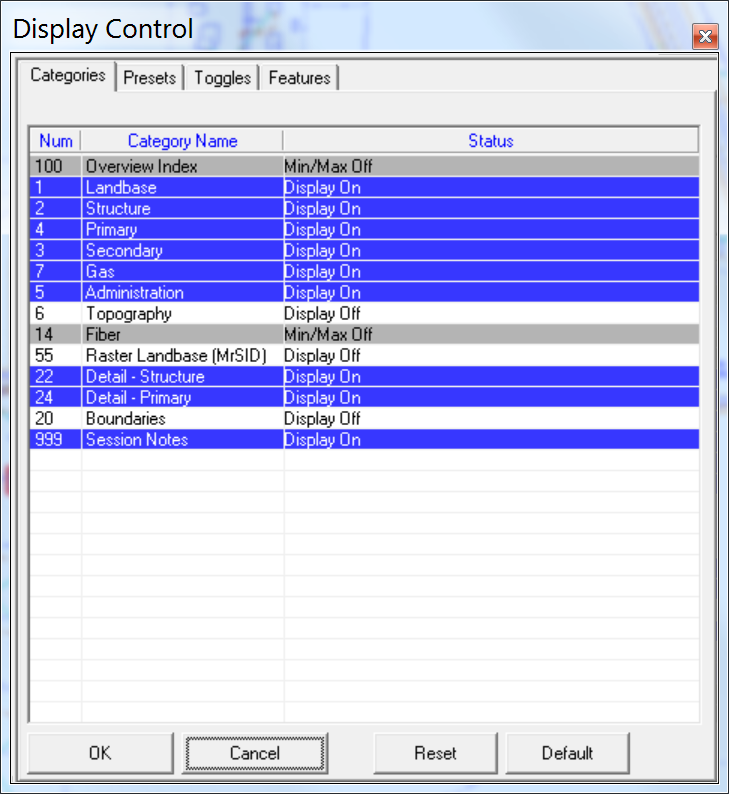 - FIX - #7879 - Display Control Dialog would cause a problem if you canceled dialog with X and then exited GTViewer. - FIX - #7880 - Using OK or Cancel on Display Control dialog did not depress the toolbar icon. - FIX - #7884 - Where Am I functionality was not allowing token commas in expressions. screens with high or low DPI. 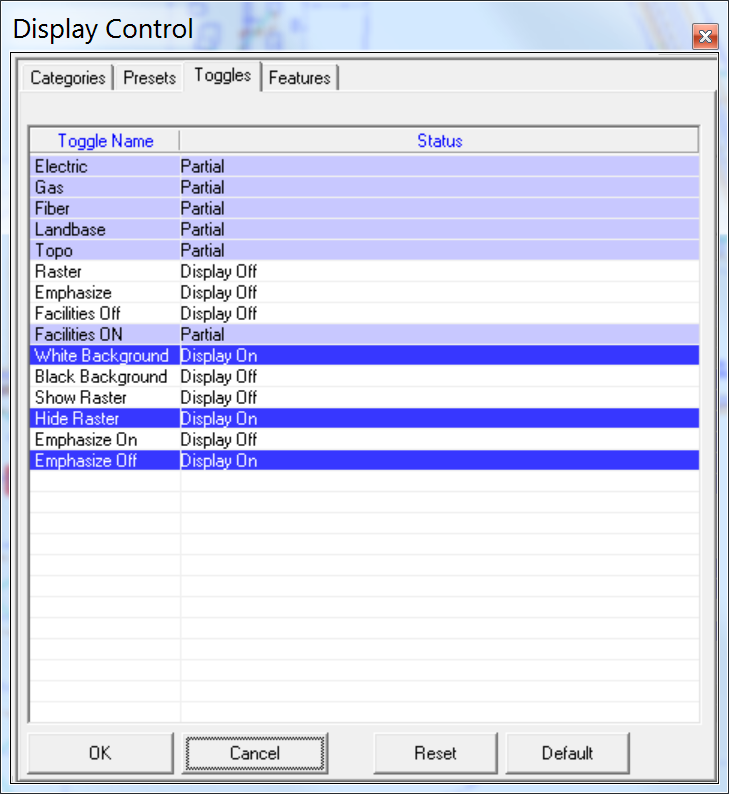 - FIX - #7886 - Display Control Dialog will now remember its last position. - NEW - #7887 - Ability to disable specific tabs on the Display Control Dialog in the .GTM file. - NEW - #7888 - Ability to disable the Display Filter Dialog in the .GTM file. - FIX - #7889 - Make toolbar buttons for all non-mode commands and redline commands d disabled when no document is open. - NEW - #7890 - The Locate XY dialog will now support the Custom Detail URL strings. - FIX - #7891 - Sort Columns, Sort Direction, and Category Filter not saved in Display Manager. - CHG - #7893 - Sample Data moved to AppData directory. - NEW - #7763 - Query Index support for Exact Match and Begins with at a prompt level for most Queries. 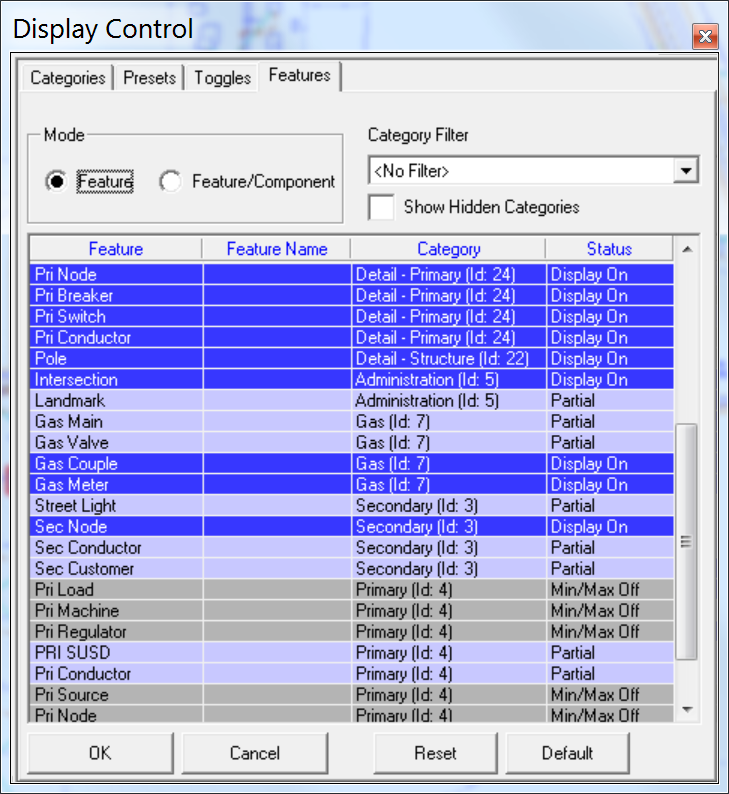 - NEW - #7767 - Display Control Manager Added. Session Category could cause a style to be incorrectly applied to the redline symbol. will copy the point list to the clipboard. selected element to the Session Category. - NEW - #7803 - Support for SymbolMask in Style Definition. - FIX - #7844 - Exporting UDLS definitions to ASCII would set Style to -1 for default which is not a valid input when reading in the file. - FIX - #7866 - The token was not processing the expression correctly for right mouse menu. - FIX - #7867 - For opening GTW files, the Style Name map was not initialized. The last couple of incremental versions of the GTech Loader are delivered with the complete seed directory and sample scripts. The installation of the GTech Loader app is provided under the Installations directory. This version also includes documentation updates. - FIX - #7883 - If you add the same Feature twice to the same group, the duplicate would get lost because the name already existed. Will now make the name unique when adding. - FIX - #7858 - For graphic text elements, the Unicode to Multibyte conversion was not correctly mapping some characters like the Degree symbol. - NEW - #7846 - Some support for Dimension Elements (Simple and Orthogonal). 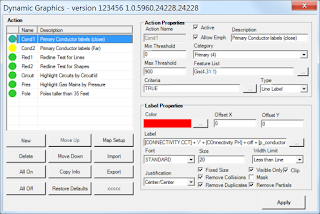 - NEW - #7854 - Stroke Complex Geometry option on Feature Edit form. - FIX - #7828 - 3D Geometries that specified an orientation point, but did not provide the point were causing an error. - NEW - #7827 - Debug Mode added to Settings page. Adds additional details to the logfile. Beta version of GTViewer 15 is Available! 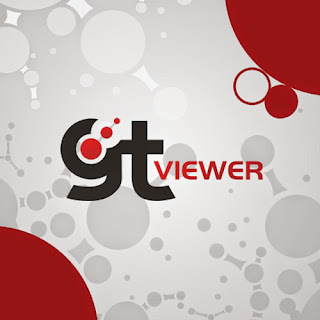 GTViewer for Windows version 15 is ready for Beta Testers. If you would like to try the new GTViewer, please contact support. It has been a while since a major version of GTViewer for Windows has been released. This delay has mostly been because the demand from customers has been focused on updates and enhancements to GTViewer for iOS and Android. 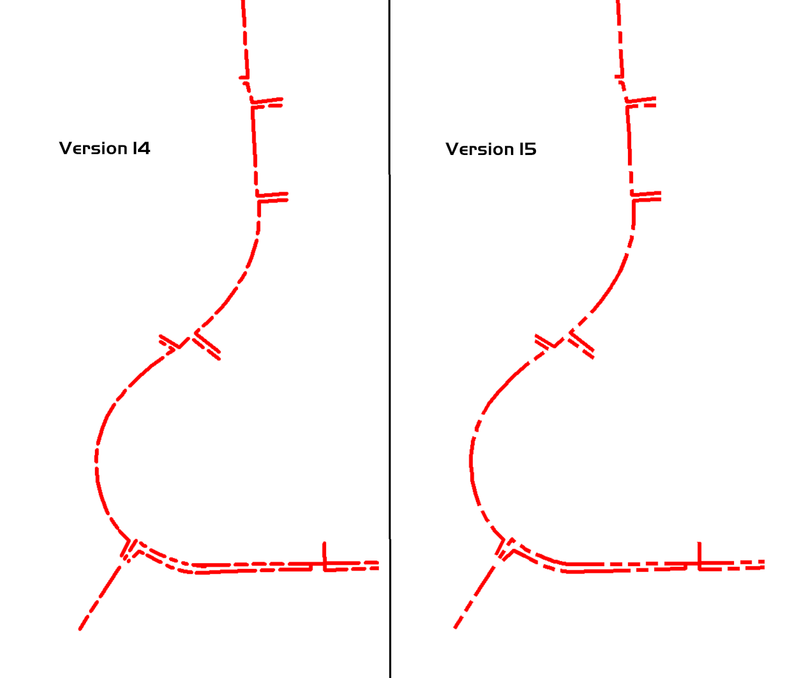 Nevertheless, there have been 53 incremental versions of GTViewer since version 14 was released. 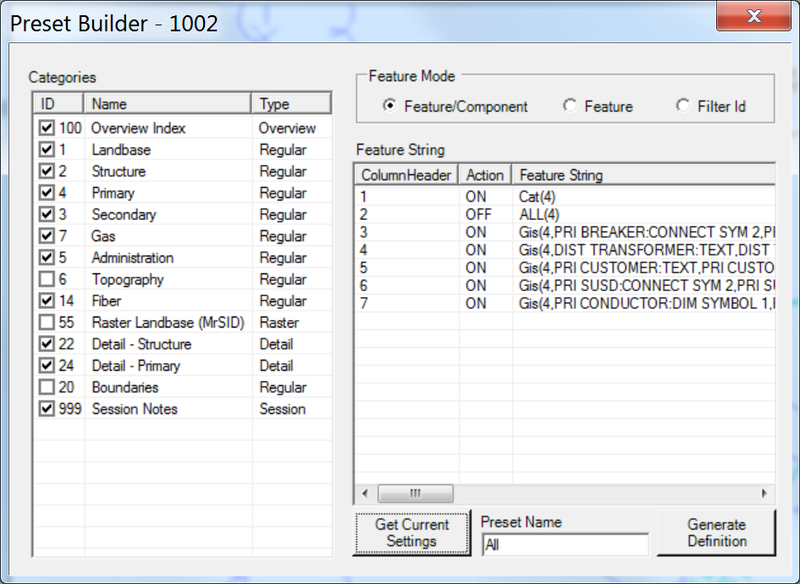 GTViewer Version 15 has several fixes and many enhancements. The major ones are listed below. Session Manager – If you have several sessions open at one time, you now get a Session Manager dialog when you exit. It will show you all sessions that are currently open, their status (saved/not saved), and lets you flip between them so you can identify which one is which. You can dismiss sessions by saving them or not, or you can dismiss them all with one button press. You can also get to the Session Manager from File/Session Manager. 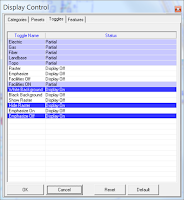 Display Control Dialog – This new feature is a replacement for the Display Filter dialog used to control which features are displayed in the active view. The original Display Filter dialog is not going away, but you will now have an alternative. The new Display Control dialog no longer does anything with Filter Ids. 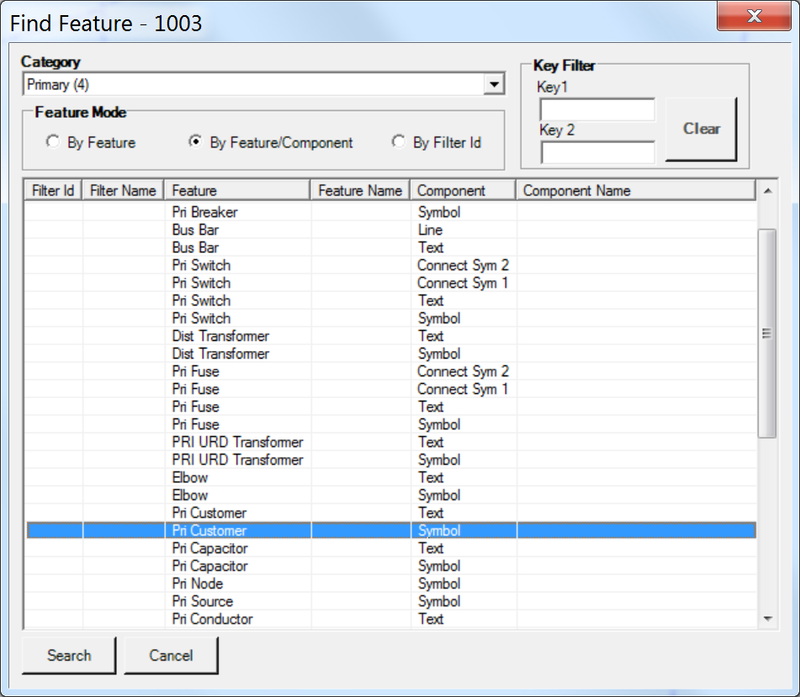 Its primary tab uses the Feature/Component model used by many of the Add-On applications to turn features on and off. A Category tab is provided to toggle Categories on an off so you can easily just work with Categories (which many users do). The Preset tab from the Display Filter has been moved over, and a new tab for Display Toggles has been added so that you can use Toolbar style Display Toggles as a standard part of the display controls. Display Toggles turn on/off a select set of features whereas a Preset sets the whole set of features to a preconfigured display setting. The new Display Control dialog is also non-modal, so you can do stuff in the view and leave it up (something the Display Filter cannot do). Line Style Rendering - In the past there were some problems with dashed lines and User-Defined Linestyles when you had certain types of Arcs. 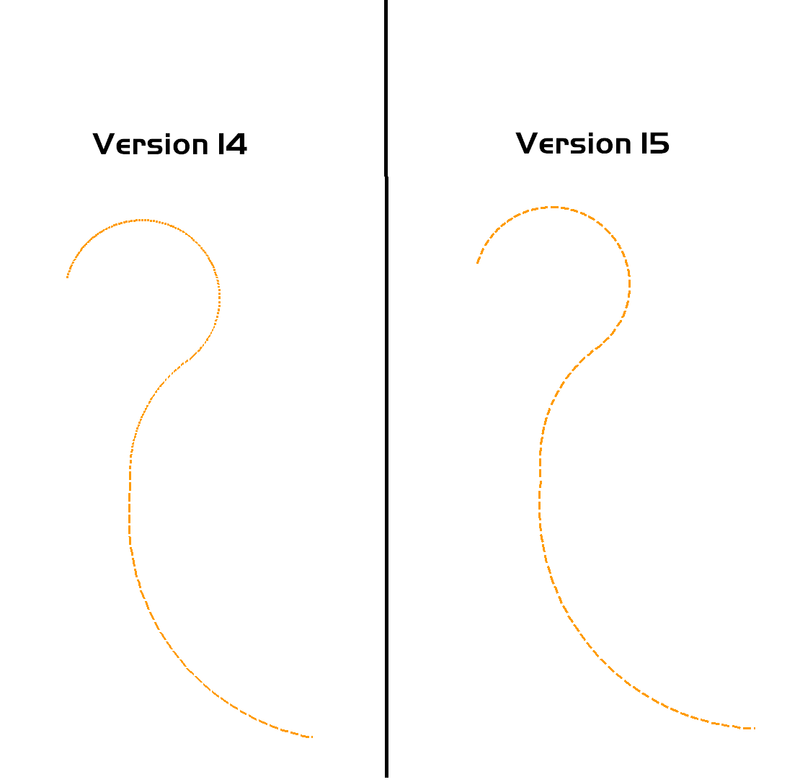 This has all been resolved (finally after15 major versions!). 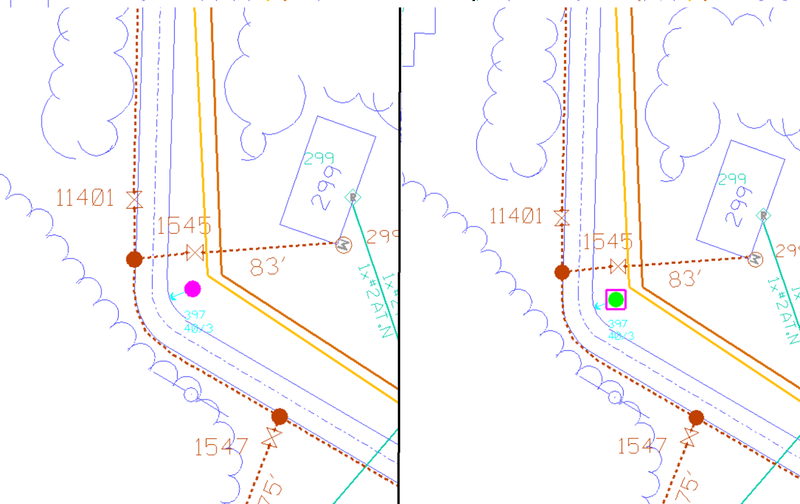 The overall appearance of dashed lines has been improved as well. Indexes that should significantly improve performance. Locate Query Highlight Modes – For a Locate Query, you can now choose between Persistent Highlight, Non-Persistent Highlight (new), Persistent Box (new), and Non-Persistent Box (new). Reload Command – This feature is found under File/Reload and will be useful to those who setup or configure the data. It will save redlines (if any), close the session, then reopen it and reload any changes you made to the configuration files. GPS Tracking – GPS tracking will now work more efficiently when you have multiple datasets open and you want to track in all of them. API Enhancements - New functionality from GTViewer has been exposed to the External Applications so they can now do things like Preset Building and Finding Features by Key or Type. A Find Feature app has been added using this. The QueryBuilder and ToolTipBuilder both have a new Find Feature command so you don’t have to start from a selected feature anymore. The GTViewer Add-On Applications have also been updated and new ones have been added as well. 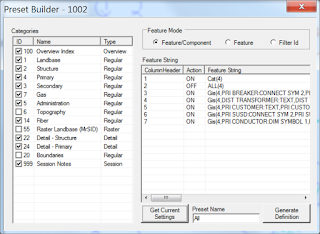 The Query Builder is used to interactively create a Query Definition file inside GTViewer. The biggest new feature in this update is that you can do a Feature Search (by Filter Id, Feature, or Feature/Component) and it will locate a feature to start the Query Builder. Before you had to select a feature of the type you wanted to create a query for to start the process (which was sometimes hard to do). There are a few more features added to the Query Builder to support new functionality in the Queries, like new Highlight Modes, and updates to the Feature Selection dialog was also updated (to match the one in the Dynamic Graphics interface). The Tooltip Builder is used to create Feature Tooltip definitions to display specified information when you hover the mouse over a feature. It has been updated with the same Feature Search functionality that the new Query Builder has, so you can now either select a feature in the graphics to start it or do a feature query. Feature Selection dialog was also updated (to match the one in the Dynamic Graphics interface). The Preset Builder is a new Add-On. 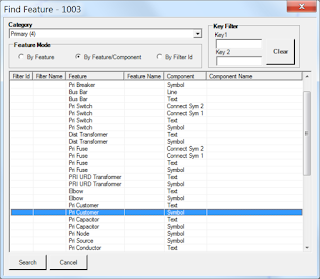 It will let you interactively create the Preset Definition Files for use with GTPreset. You can now set the view like you want with the Display Control or Display Filter and extract the current settings as a Preset Definition. This ability makes it significantly easier to create the Preset Definition files (which you had to do manually in the past), and you never have to use Filter Ids again. This Add-On is like the Feature Search command that was added to the Query Builder and Tooltip Builder, except that it is a stand-alone app and has a few more features. It is targeted for the administrator users who configure the dataset and is very useful when setting up freshly exported data. It can also find any feature in the data by its keys. 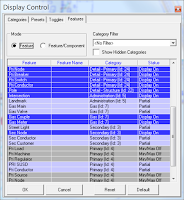 The Dynamic Graphics Interface allows you to configure the Dynamic Graphics (Highlights and Label) interactively. This update has been completely rewritten and provides a much cleaner and informative interface. subscription where you can download static map images for use in Applications, this Add-On will fetch the background imagery and attached to the current view. 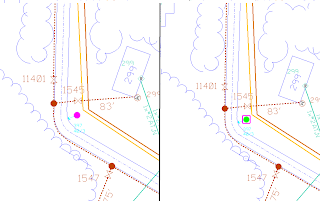 Search Redlines, Show Google Maps, and GTSpot Importer are still available. The Where Am I app has been retired since its functionality was incorporated into GTViewer. Apple does not support development for versions prior to 8.0. Major updates for both GTViewer for iOS and GTViewer for Android are available today. This update brings the Android version functionality up to date with the iOS version. Instead of listing all of the individual items (there are many), just the major items are listed. The previous Android version on Google Play was significantly behind the iOS version. NEW - provides consolidated GTShare support for both data collection and redlines without requiring SQL Server. NEW - support for encrypted records for Data Collection. The Oracle Spatial Loader will create GTViewer data from an Oracle Spatial Database. Any table containing an SDO_GEOMETRY attribute can be exported as graphics. Tabular data can be exported as well. While not as powerful as the GTech Loader (which loads G/Technology data from an Oracle Spatial Database), the Oracle Spatial Loader is very capable and can easily create GTViewer data (graphics and tabular) with minimal effort. It does not require metadata to export the data, but you must also define all styles and symbology. - FIX - #7719 - If no jobs were selected, the Conversion button would stay disabled after attempting to perform a conversion. 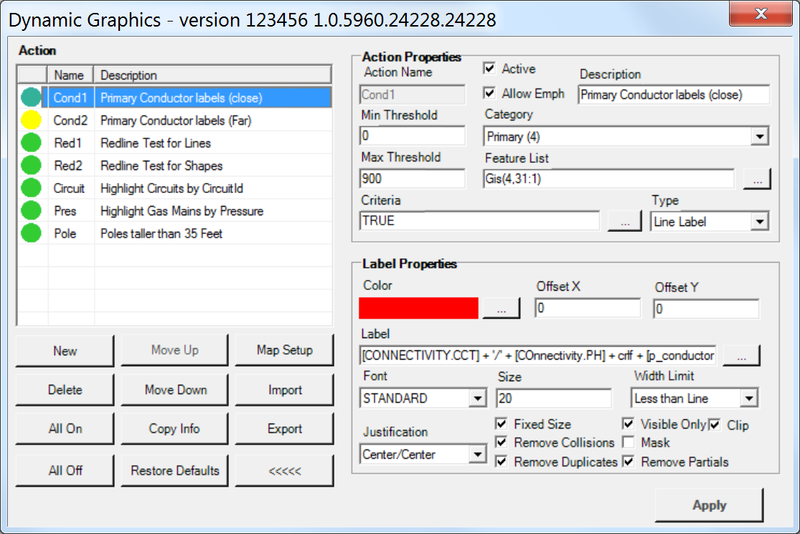 - NEW - #7720 - Save Conversion mode in Project File. - FIX - #7805 - Adjustments to Layout so forms would work with High DPI monitors.